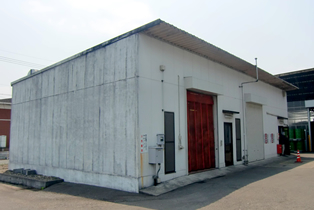 ﻿ Dietary Supplement OEM (Contract Manufacturing) Processing Technology｜API Co., Ltd. 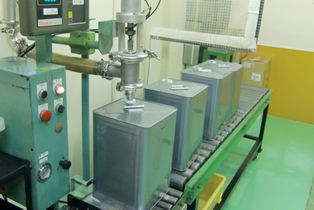 Processing TechnologyOur various technologies and raw materials allow us to create any kind of product. 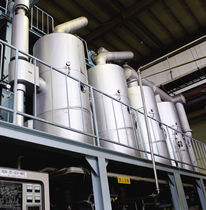 API uses refinement technologies such as ion exchange resins and activated carbon to process a wide range of materials according to customer needs. Refined products include refined honey, deacidized apple juice and refined liquid sugar. We use special resins called ion exchange resins	to remove ionic materials (i.e., metals, acids, and trace elements) from our ingredients. Activated carbon refers to charcoal made from wood powder (or other woody materials) that has been activated and has a porous surface. It is effective in removing odors and colors from foods as well as absorbing impurities. 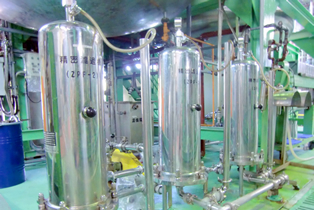 At API we use various filtration technologies as needed to create a wide array of products. We clarify liquids by passing them through a variety of filtering materials such as filter paper, filter fabric and diatomaceous earth. Filtered products include deproteinized honey, various clarified juices, and clarified yeast extract. We used a variety of filters such as membrane filters and Zeta Plus filters to sterilize liquids. 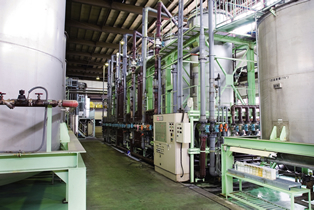 We use ethanol, water and hot water to create extracts from various raw materials. 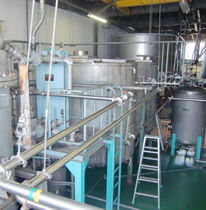 We extract active ingredients with ethanol and process them into drinks, health foods and cosmetics. Products include royal jelly, propolis, herbs, natural medicines, etc. Depending on lot size, we can enrich anywhere from several hundred kilograms to several dozen tons of materials. Materials can be enriched at any temperature. 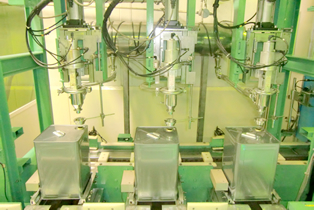 In addition to enriching, these machines can also mix and appertize materials. Enriched products include types of liquid sugar, honey, juice, and black vinegar. 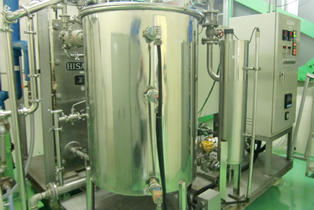 Pasteurizers are effective for highly viscous or turbid materials such as honey or fruit juice that cannot be filtered for sterilization and for materials whose quality would fluctuate if treated with standard heat sterilization. 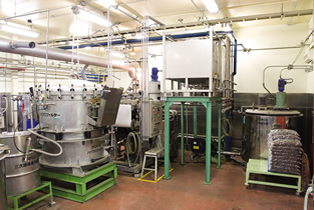 Pasteurizers use high temperature instant sterilization to reduce fluctuations in quality from the application of heat. Pasteurized products include HTST honey. We turn extracts into powders with the freeze-dryer (FD). Products include royal jelly powder, powdered natural medicines, etc. Impurities that cause poor filtration are run through an enzymatic degradation process as needed to achieve clarifying filtration. Products include peach juice, apple juice, prune juice and other juices. Given their large molecular weights, some essential materials are removed during filtration. These are run through an enzymatic degradation process as needed, and collected and used in water-soluble form. Products include the powders and extracts of chaga, agaricus and various other mushrooms. 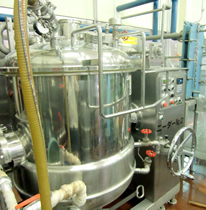 We adjust concentrations, blend formulas, form lots and units (smaller than lots), employ BIB aseptic filling, and fill containers with highly viscous liquids. We fill a whole range of containers, including various-sized bottles, 18 liter cans, drums and tanker trucks. We use this machine to fill containers with cosmetics, health foods, honey and various other products.